Hi! I'm Yehuda Geller. Born and raised in New York City I made aliyah with my wife in 1969, right after the Six Day War. We actually planned to come to Israel for two years to complete our MA studies at the Hebrew University in Jerusalem but we really fell in love with this land and its people. Israel has been our home since 1969. After completing my studies at the university in Jerusalem in Jewish studies and education we moved to a moshav in the Negev where I was a yeshiva high school educator for 21 years. In the 1990's we moved to the Golan Heights, closer to nature, where I continued my career as a yeshiva high school educator and simultaneously completed my tour guide course with the Ministry of Tourism. 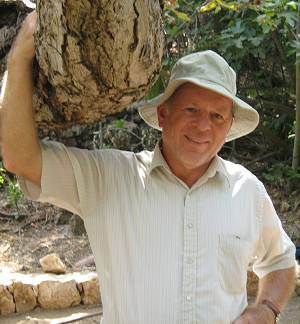 In all my years in Israel with my wife Debbie and seven children, with my pupils and during my Israeli army service I have traveled this country, hiked its trails and absorbed its history, geography traditions and special secrets. I would like to share my knowledge, experience and impressions with you and your family. 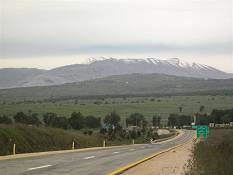 If you'd like to visit Israel's north (Galilee, Golan) as well as other parts of Israel call me. I will arrange the perfect trip to Israel based on your requests and my suggestions. Grandparents, parents and kids will see the sights, learn the special connection to the Land, relate to Jewish sources have fun and get to understand this wonderful country: its people, history and traditions.